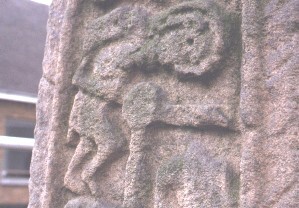 This is the first figure at the top of the figural panel. He is bent over. This scene has been identified as the Apostles receiving the Holy Spirit, in tongues of flame, at Pentecost, New Testament, Acts 2:1.